Can You Prove Me Wrong about UFOs? Aliens would have little to gain from a meeting with us. The Cosmos is vast. The fastest probes we ever launched were Voyager 1 and Voyager 2 at only 50,000 m.p.h. At this rate, it would take thousands of years to reach Proxima Centauri, the closest star to our own solar system, which is 4.3 light years away. Any space faring civilization would need very advanced propulsion to reach us, implying that a long evolutionary process must have taken place in this species. 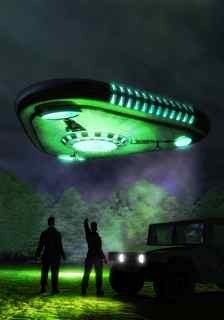 Their advanced engineering would allow them to “turn their lights off” if they didn’t want to be seen by us. Because there are trillions of stars with tens of trillions of planets, there is without doubt, many life-forms in the cosmos. Given the time involved in the age of the Cosmos, there is no doubt that many species have become space-faring civilizations. But radio waves (traveling at the speed of light) have only been emitting from our planet for about 70 years, so 99% of solar systems would have no idea that this little blue world has intelligent beings. 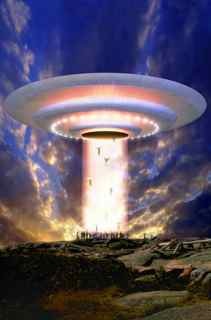 I believe that the UFO phenomenon is our wishful thinking that we are somehow important enough for an advanced race to visit us. But the odds of them coming here are almost zero. The vast distance they would have to travel would require a new understanding of physics, e.g., overcoming the speed of light barrier. 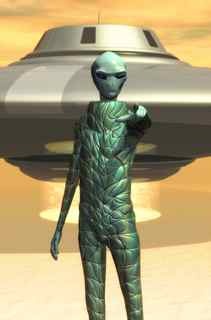 Because this alien species would be so advanced, we would be like animals to them. Therefore, they would have little to gain from a meeting with us.